Harshika Poonacha who is the Kannada actress, her name to be wrongly linked to a lip-lock video that has gone viral on the internet. At a recent awards ceremony in Malaysia. The actress clicked a picture of herself with Simbu, who she met through a friend. While that was the extent of her interaction with the Tamil star, Harshika’s shocked that her name is wrongly linked to an alleged lip-lock video of Simbu that is doing the rounds. The video, which is leaked CCTV footage, is blurred and hazy. A lot of sites have uploaded it, claiming it is a kiss shared between Simbu and Harshika. A closer look at the video shows that Harshika wore a different outfit as compared to the girl in the video. Sources present at the awards ceremony hint that it could be a young Tamil starlet who has had a string of successful films lately. 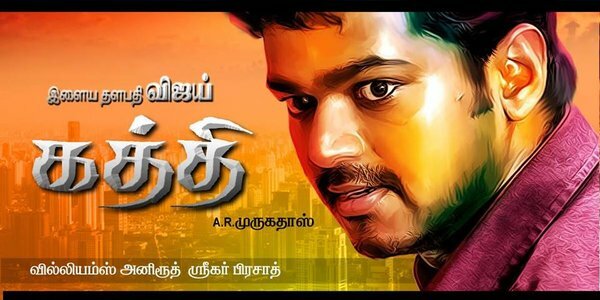 Ilayathalapathy Vijay’s Kaththi to release on Youtube !